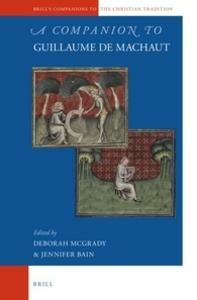 Offering the first comprehensive study of Guillaume de Machaut's vast corpus of text and music, the 18 essays in this collection explore the author's engagement with the ethical, political, and aesthetic concerns of his time. Building on interdisciplinary interest in Machaut, this collection broadens discussion of his work by exploring overlapping interests in his poetry and music; addressing lesser-studied writings; offering fresh perspectives on lyric, authorial voice, and performance; and engaging more critically with his reception by medieval bookmakers, modern editors, and the music industry. The result is a promising map for future research in the field that will be of interest to students and specialists alike.